While there are some cancers for which we have made progress in treatments and consequent survival, there are also some for which progress has been pretty much non-existent. Glioblastoma multiforme (GBM) is one of the latter – the survival statistics are abysmal and have remained unchanged for many years. Which is why this book, by professor of Psychology Ben Williams, is so inspirational. When faced with this terrifying diagnosis, he got through the shock and then decided he was going to do more than just sit back and accept the standard of care treatment that was almost guaranteed to fail. Instead he took matters into his own hands and sought out other options, whatever and wherever they might be. He is, therefore, one of the few very long-term survivors of GBM. What is more, he has done more than just seek out something for himself, and he has dedicated the last twenty years to helping others do the same. This book is his story and it is, without doubt, one of the most inspirational and yet practical books in the vast literature of cancer. 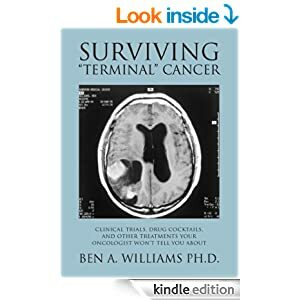 Written in three sections, ‘Surviving Terminal Cancer’ is more than just a memoir, it also includes a section on the need for change in the system of clinical trials and drug development and a final section on some of the specific treatments and supplements that Williams has found to be useful. In all this is a comprehensive range of material that moves far beyond a memoir and becomes more of a manual for the activist patient who wants to go beyond what the standard treatments. The book starts, however, with Ben William’s own story. He describes the terrifying diagnosis and his initial shock and paralysis in the face of it. But this changes as he responds by using his skills as a scientist to understand the disease and to look at what was being researched. Over time he expands this to develop an approach to his treatment that incorporates multiple additional treatments over and above the standard treatments in place. In the process he comes face to face with an oncological community unwilling to experiment or offer additional choices even when they know that outcome will be dismal. If people are going to die then why is it unethical to treat them with non-standard drugs? The memoir is profoundly moving and also disturbing in that it reveals a degree of conservatism in the oncology profession that does no favours for patients. The next section of the book picks up on many of the issues that his own direct experience raised regarding medical institutions, clinical practice and the clinical trials process. The issues raised are not unique to Ben Williams, nor specific to glioblastoma or even cancer in general come to that. The system is clearly not optional, and it actively inhibits change. It is a system designed for regulators and bureaucrats and the needs of patients are low on the list of priorities. The clinical trials process in particular has continued to evolve towards very large Phase III trials that are expensive, time-consuming and often lead to minor incremental changes in outcomes, if at all. Ben Williams does not argue for doing away with trials completely, instead he argues for smaller and more focused trials leading to changes in clinical practice in a way that is more responsive to good results. In the final section of the book – suitably entitled ‘What your oncologist won’t tell you’ – the attention turns to ‘alternative’ medicine, supplements, and the current state of play in cancer research. 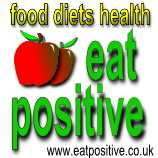 The arguments about what counts as ‘alternative’ are well-rehearsed, and there is an examination of some well-known controversies regarding laetrile, iscador, the case of Stanislaw Burzynski. The pros and cons of each are discussed, in some detail with regards to Burzynski, but what is more important than the details of each is the process of sifting out the details that Ben Williams goes through. In a world where there are numerous scammers promising miracle cures, arming people with the tools to recognise junk science is essential. In all this is a fantastic read. It’s thought-provoking, polemical, honest and hopeful. What is more, the approach that Ben Williams is suggesting applies to more than glioblastoma and other brain tumours, it applies across the board to cancer.